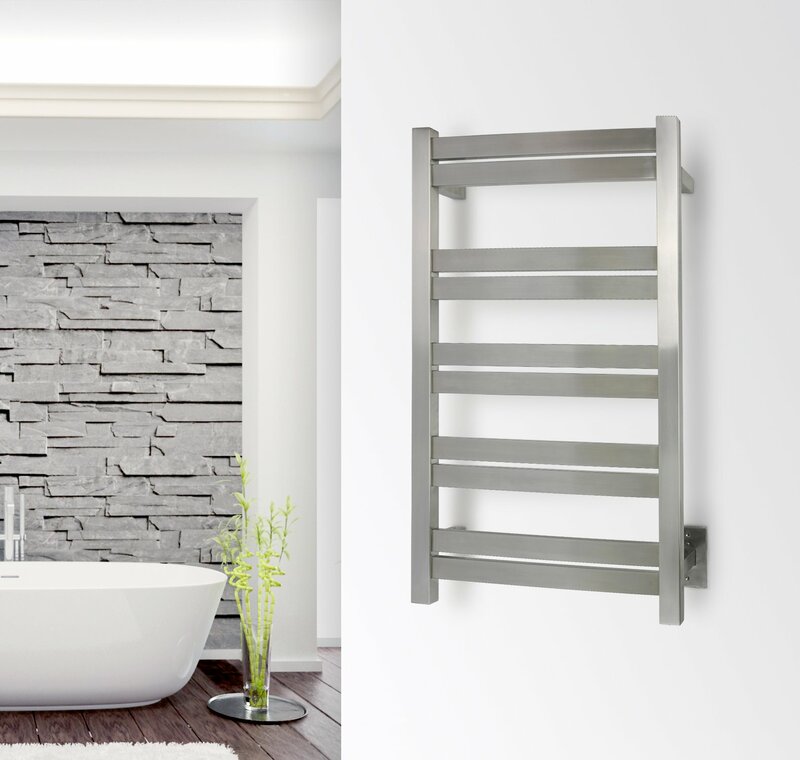 High-performance heating and stunning design aesthetics are perfectly combined in the Grande towel warmers from WarmlyYours. 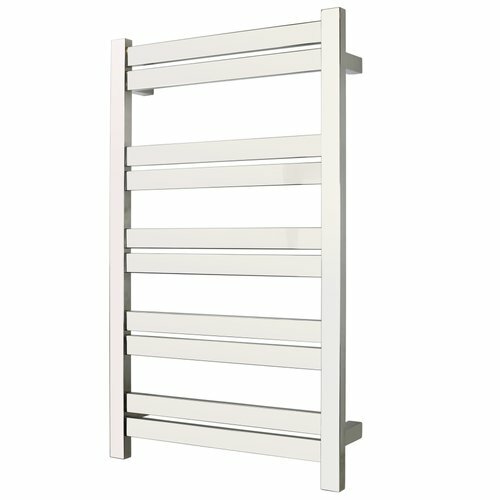 These models are available in 10 or 12 bar variants with several different finishes. 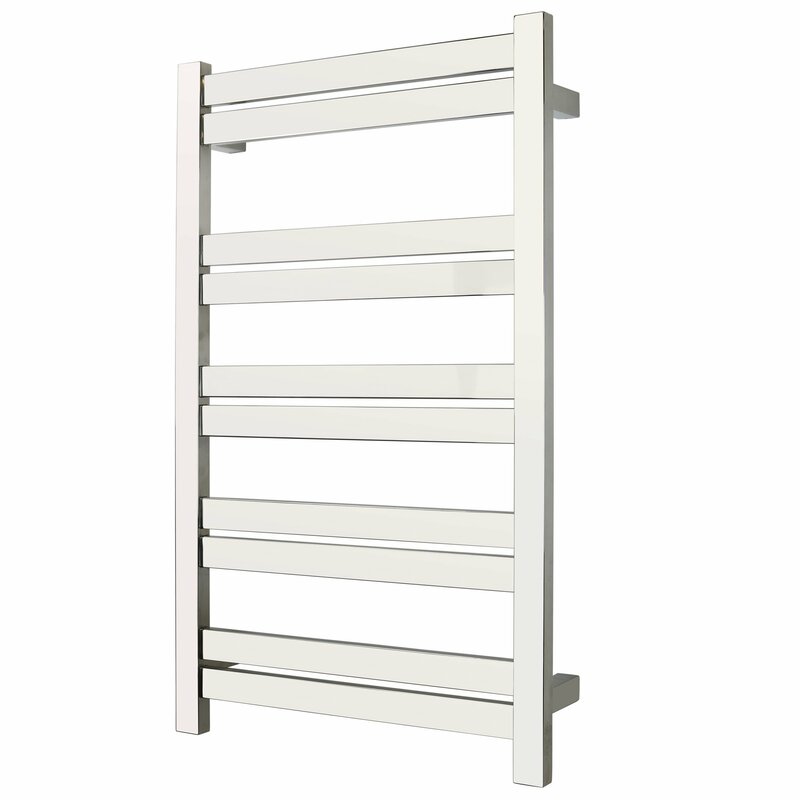 The flat bars of this model series create a large amount of surface area to warm and dry your towels and bathrobes. The wall-mounted Grande models are hardwired (110-120 VAC) which means there will not be any visible wires or plugs when installed. These models come with built-in TempSmart™ protection to prevent the unit from overheating.